Our Conference is coming up, set for the weekend of 7 – 8 October. Hosted by Auckland HomeBirth Community, the Conference is being held at the Jetpark Hotel & Conference Centre in Auckland. There is an inspiring line up of speakers for this years Conference, read a little about the presentations and the presenters below. 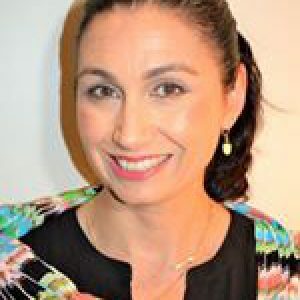 ANNABEL FARRY: Place of Birth and Model of Care – Results from a Counties Manukau study –Does where a birth occurs make a difference to the outcomes for mother and baby? 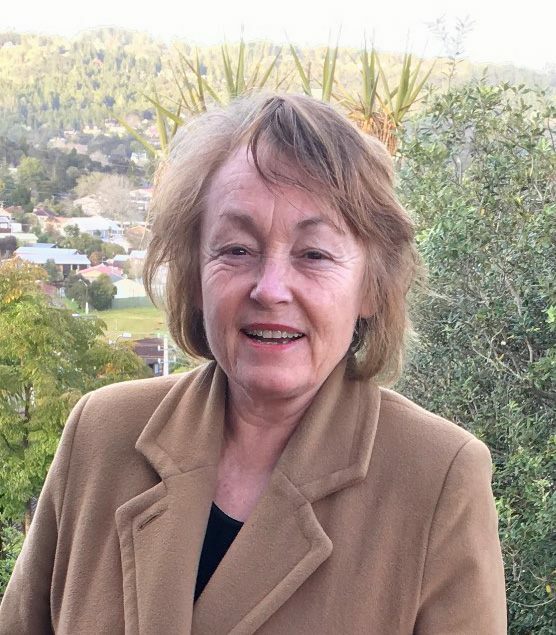 Annabel Farry set out to discover the answer, utilising information gathered from the Counties Manukau District Health Board area, from 2011 and 2012. Both the place of birth and the mode of midwifery care (continual or fragmented) were investigated and the results were clear and statistically significant. 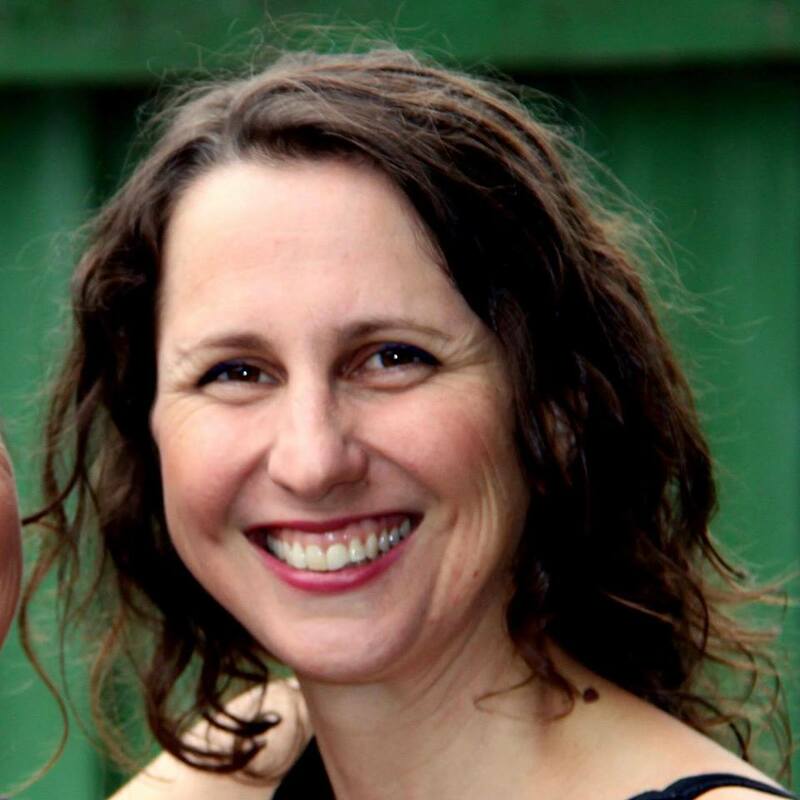 Annabel is an educator, a researcher and a midwife. She strongly believes in the cornerstone models of midwifery: partnership and Turanga Kaupapa. She also has a deep respect for physiology, having studied this for 17 years. Annabel has been a registered midwife for 22 years and a lecturer for 10 years. She has recently been employed as a Midwifery Research Fellow for WDHB. Annabel has two daughters, both born at home and her research is based around safe spaces for birth. This year, she has started her DHSc (Doctor of Health Science) looking at this topic. BAN ABDUL (BEE): Real Life and the Code of Rights – New Zealand’s Code of Health and Disability Services Consumers’ Rights became law in 1996. In the current climate of educating everyone regarding autonomy and consent, the “HDC Code of Rights” as it is more commonly known, is a beacon of respect and care. Particularly in the world of maternity services, when it is adhered to by both word and intention, it supports the ability for an empowering experience for all concerned. However, when it is not, the consequences can be dire and damaging, and is often a major contributor to a traumatic birth experience. This talk will provoke thought, reflection, connection, discussion, and hopefully plant seeds of change where they are needed. Because one day’s events, one person’s mindset, even one misspoken phrase, can do surprising damage, and have long lasting and compounding repercussions for both mother and baby. An excellent descriptor for Bee is multipotentialite; having strong, varied and passionate interests and pursuits. What motivates Bee is her deep curiosity, her thirst for knowledge and her endless desire for self-development. Her drive to understand humanity and foster connection and community has seen a mixture of problem solving, storytelling, creative expression, social movement, healing and facilitation on her journey so far. In connection to this sphere, she has worn the hats of childhood educator and doula, and is impassioned about consent, bodily autonomy, intersectional feminism and gender deconstruction, which can also tangibly be seen through the way she parents her 1 year old, Sage. JANET REDMOND: Trauma Effects on Midwives – Birth Trauma has a major effect on the families involved, but what effect does it have on the midwives present? How does this impact on them and their practice? What happens over time, and as further experiences occur? Janet will discuss the cumulative effect of Birth Trauma for midwives and other birth support professionals. She will help us learn how to recognise vicarious trauma and during the lunch break that follows, Janet will offer a demonstration of Trauma Release Exercises (TRE) for anyone who is interested. Janet’s dedication to recognising and healing trauma personally and professionally spans three decades. At the International Transactional Analysis Conference in Edinburgh 2005, Janet presented “Four hourly feeding regimes: The neurological and psychological effects.” Along with Jude Cottrell, Clinical Director and Midwife Educator, they facilitated ‘Birth Trauma’ for a midwives’ study day at Auckland Hospital. In recent years, Janet has completed training in EMDR, Trauma Release Exercises and Neurofeedback: Applied Neuroscience. CARLA SARGENT: The Sociocultural Undermining of Birth Trauma – In our society we are led to believe that a good birth is one which produces a physically well mother and baby. A rising tide of birth interventions and a risk-focused approach to birth care is resulting in a huge number of women broken by their supposedly normal birth experiences. It is heart-breaking that so many women who suffer a traumatic birth experience are not able to recognise this fact, as they are encouraged to be grateful for their healthy child. This means that many women do not realise that they too have birth wounds that need to be healed, the consequences of which we are only beginning to fully recognise. Carla’s post-midwifery years have entailed a varied array of birth work and support, including publishing Where the Heart Is: stories of home birth in New Zealand, volunteering with the Waikato Home Birth Association, the home births and mothering of her three children (Laura 16, Luca 8, Jonah 7), and co-founding a birth trauma support organisation called Voice For Parents. 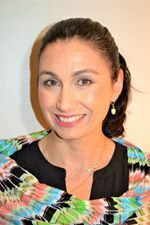 She is passionate about supporting women and whanau in the wake of birth trauma, and helping them to understand what is needed to achieve the healing, positive and empowering births they are seeking. 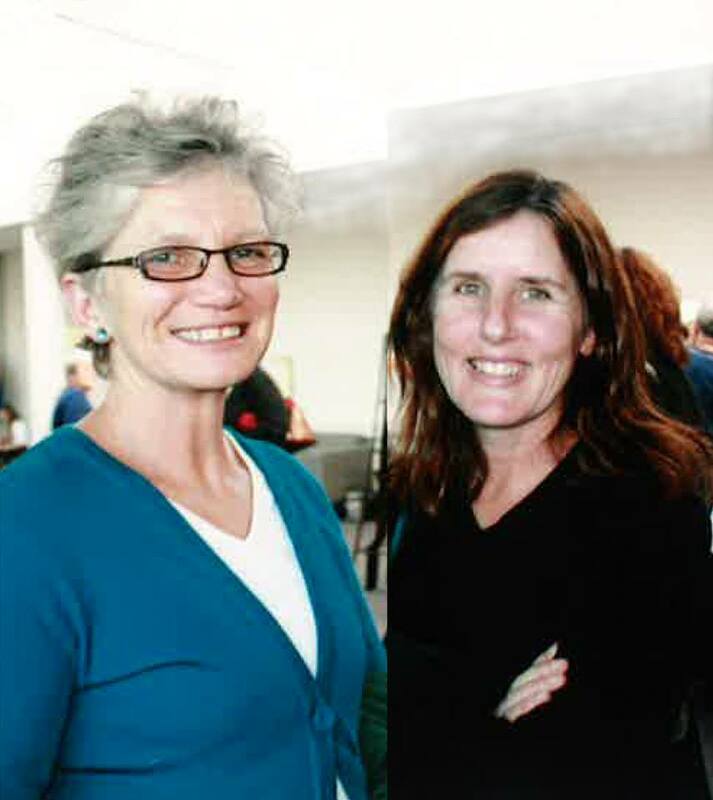 BRENDA HINTON & LINDA MCKAY: NZ Maternity: Past, Present and Future – Sometimes, to move forward, it helps to look back. The ’80’s were a time when a critical mass of consumers demanded changes to the maternity services. Amazing changes were brought about by the work and passion of some determined women and midwives. 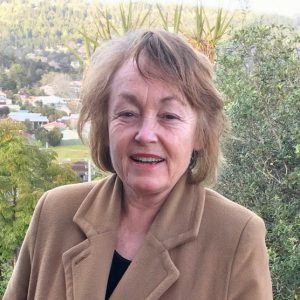 We have asked Brenda Hinton and Linda McKay to come and share their experiences of the time before our LMC system, the NZCOM and the Code of Rights, as well as some thoughts on their hopes for what women’s maternity experiences would be in like 2017 and how the reality has panned out. Are we still on track, or is there some more work to be done? 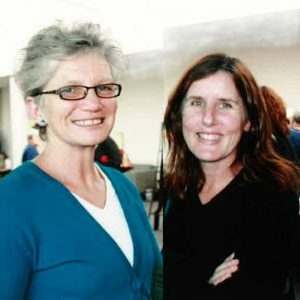 Brenda and Linda were active members of the Auckland Home Birth Association in the 1980s through to the mid 90s and went on to become the founders and directors of MAMA (Mothers and Midwives Associated), where they continue to support mothers and midwives today. 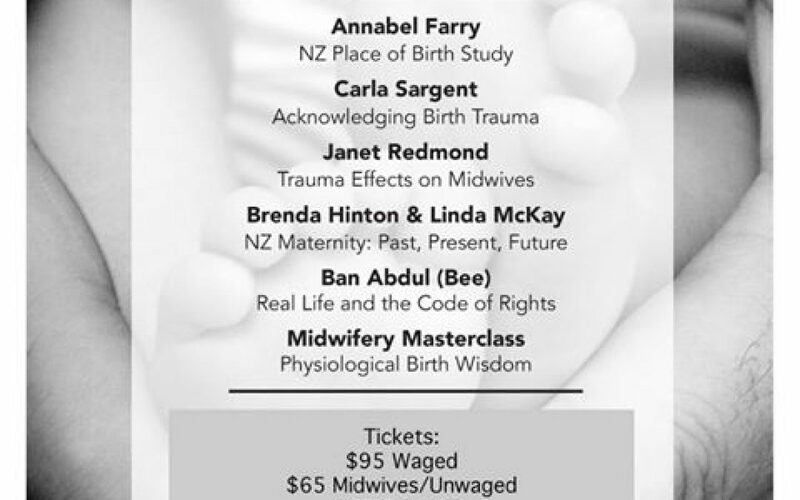 Evening Session – Midwifery Masterclass : Physiological Birth Wisdom – Simply put, we have brought together a group of highly experienced home birth midwives to share their knowledge, experience and general wisdom with you, on ways to support a true physiological birth.